By February 1963, work was under way to construct the new County Vocational Education Building on 20 acres near the corner of Little Pittsburgh Road (now 57th Ave.) and 26th Street West. 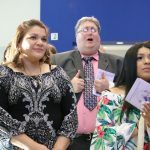 The new Manatee County Vocational and Technical Center opened in August of that year with 218 students in eight programs. Through the Vocational Act of 1963, the School District of Manatee County was the first in the state to receive funding to expand its technical center, one of the first in the State of Florida. 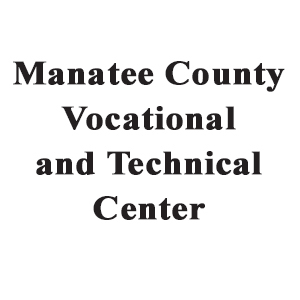 In 1965, the state designated the center as an “area vocational school.” Thus, the School Board changed its name to Manatee Area Vocational Technical Center. Over the next two decades, MAVTC went through rapid expansion. In 1965, additions were built to provide laboratories in masonry and drafting. In 1966, construction of more new buildings began. In 1976, the fourth phase of construction was completed at Manatee Area Vocational and Technical Center. 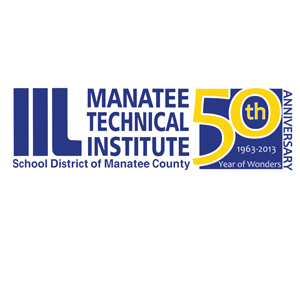 In November 1996, MAVTC was renamed Manatee Technical Institute (MTI). In March 2002, MTI dedicated a newly constructed health occupations building marking its new East Campus at the corner of Lakewood Ranch Boulevard and Mustang Road. In one year, the enrollment doubled. In four years, the enrollment more than tripled. Starting in 2004, our students won more medals at the SkillsUSA Championships than any other school, vocational or technical center or college in the United States. On December 17, 2007, MTI welcomed a new addition to the East Campus, the Fire Science Training Facility and Burn Tower. Another ribbon cutting ceremony was held at the East Campus on November 17, 2008, for the opening of the Law Enforcement Academy and Allied Health building. In June of 2011, ground was finally broken for the new Main Campus on State Road 70. The original campus closed its doors when the new Main Campus opened in January of 2013, the year of the school’s 50th Anniversary. A ribbon cutting ceremony was held on February 14, 2013. The 210,000 square-foot building was designed by one of our graduates. Simultaneously, MTI created an Adult Education Center in a building on the Bayshore High School campus in West Bradenton. 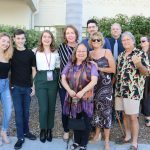 On December 9, 2014, after a unanimous vote from the School Board and support from students, staff and local business and industry, Manatee Technical Institute was renamed Manatee Technical College. Today, Manatee Technical College is one of 47 public tech centers/colleges in 29 school districts in Florida. Through state/local agreements, MTC offers articulated college credit in over 60 percent of its programs.